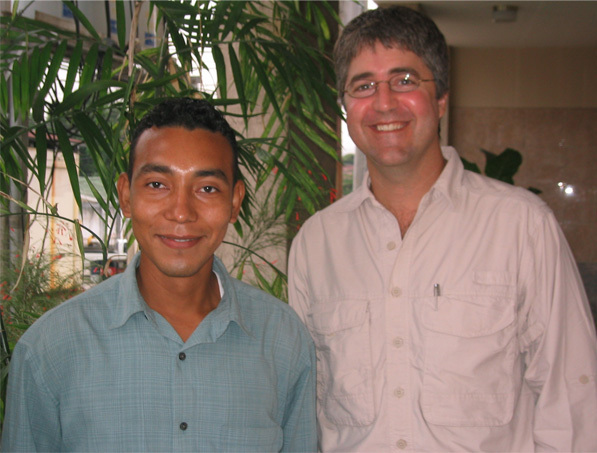 Jarlo graduated from the San Pedro Sula Escuela Normal and is currently teaching in a private school in San Pedro Sula. He attempted to enroll in the Universidad Pedagogica but encountered some obstacles. After being out of touch for three years he recently contacted me regarding his desire to pursue a university degree part-time. 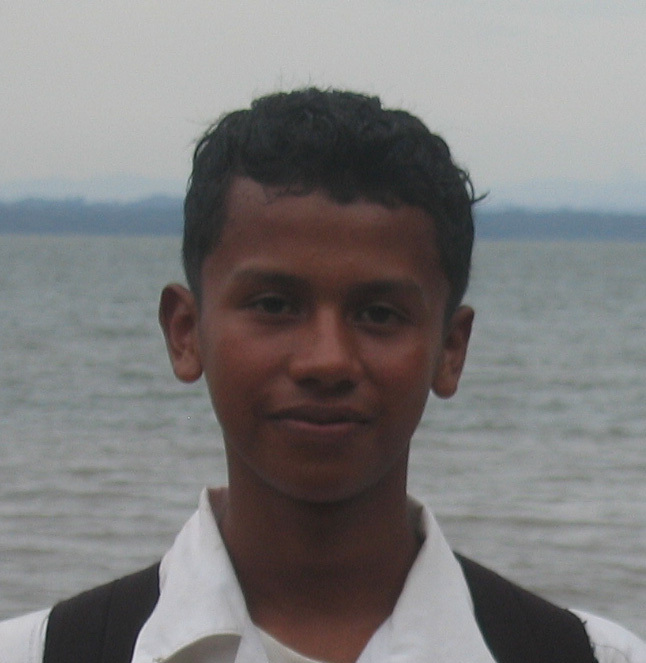 He would like to return to La Mosquitia and teach but he does not feel he can get a job without the university degree. I believe Jarlo will return to La Mosquitia but if we are to consider supporting his university studies I think we should attach some caveats to any support. Perhaps we could stipulate a partial repayment of the scholarship if he does not attempt to get a teaching position in La Mosquitia. 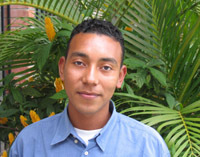 With the support of ECOS Rio Platano, Juan Angel graduated from the Trujillo teacher’s high school in December of 2005. He graduated from the Universidad Pedagogica in December with a degree in Middle School Education. He will travel to Puerto Lempira to take the departmental teachers exam and all indications are that with this university degree he will have first priority for school selection and his clear preference is to return to Las Marias to direct the new middle school. Because of the exam and placement process take place over the course of a month, Juan Angel will be required to stay in Puerto lempira for this entire time. 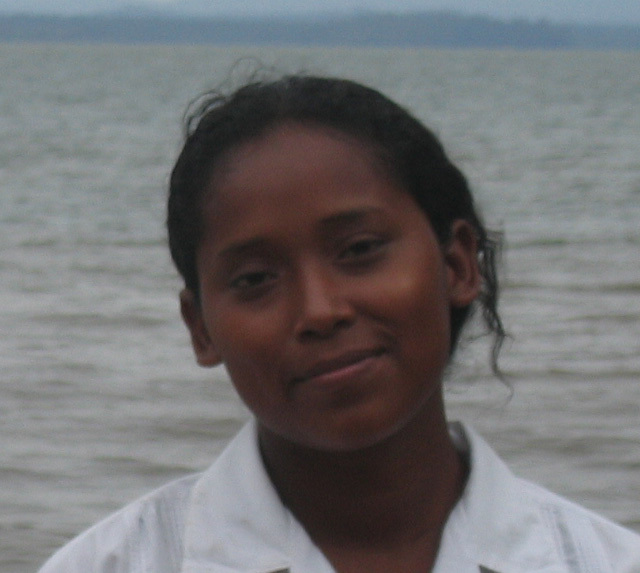 Telma graduated in 2006 as a teacher. During the period of time she was in Puerto Lempira to take the teachers exam, she became pregnant. She worked as a substitute teacher in Las Marias in 2007 and 2008 until her father Ubence Ramos passed away. Basically the family was chased out of town with charges of Brujeria and she is now living and working in Brus Lagua with her mother. She is committed to securing a permanent teaching position in Las Marias and so will take the educational exam in Puetro Lempira in early Feb 2010 to see if she can achieve this goal. 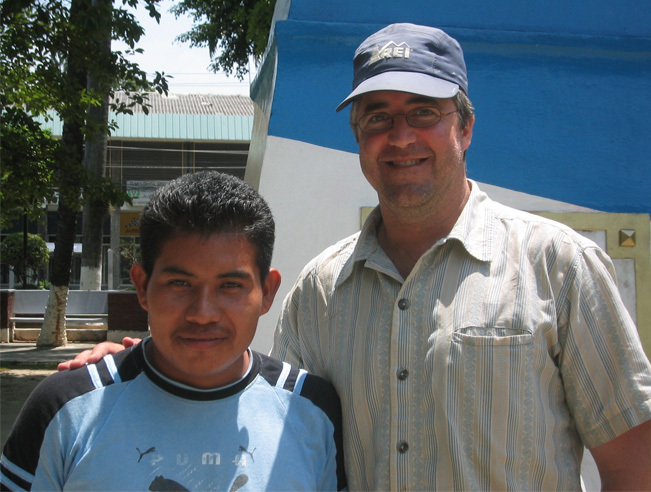 After taking a leave of absence from the teachers high school in Trujillo due to illness in 2008, Diego completed his second year of study in November 2009. He achieved high grades and will enroll this Feb for his 3 rd of 4 years in the Escuela Normal. After a rough start with her education outside of La Mosquitia, Anna completed her second year in a four year tourism management program. She has achieved academic success and looks forward to continuing her studies in 2010. Elbia is our second scholarship recipient from Banaka. She completed middle school in Cocobilla. Elbia has also decided to take a year off from her studies to help her family but intends to continue with her high school studies in 2011. Eric is from Las Marias and completed middle school in Cocobillia. Due to family obligations he plans to take a year off before continuing with his high school studies in 2011. David is our first scholarship recipient from the community of Banaka. Banaka is in a similar situation to that of Las Marias a few years ago in that they do not have middle school and do not have any teachers in the elementary school from the community. David graduated from the Cocobilla middle school in December and is enrolled in the sustainable agriculture high school program in Brus Laguna. Jorge graduated with honors from the sustainable agriculture high school in Brus Laguna. Jorge is of Pesch descent. He has been working the past two year to save money for his university studies. I have made it clear that we would like him to pursue university studies, can support his living expenses, and have provide him with many potential scholarships at ESNACIFOR and other Honduran universities but thus far he has not applied for any of these programs. Communication with Jorge has been difficult but we would like to support this high achieving student to continue with his studies.